ACCA vs CA. A comparative analysis on which one should you pursue. It’s no secret that the youngsters of today desire for the best and go to any extremes to massage their egos. Even while choosing a Smartphone, they tend to go for technically-edged device equipped with advanced camera with highest megapixel, unmatchable battery life and an internal memory that is as upfront as possible. They know what it means to stay in pace with their modern lifestyle. Unfortunately, when it comes to education, they fail to implement the same idea. Let’s cut to the chase, the youngsters are still holding on to what’s traditional option for them and choosing something that seems familiar to them, like choosing CA over ACCA. Thanks to the knowledge-driven global economy, India supports quality learning, no matter from where it has emanated. There are Indian students who have realized that it’s better not to slow down and indulge in the run-of-the-mill qualifications. It’s no wonder that people still tend to draw comparison between CA and ACCA. Although, a fraction of the curriculum shared by both the accounting courses is similar, the fact that the ACCA qualification yields more prospects both in the local and foreign market cannot be ignored. Do you have any query about ACCA Course? Talk to our experts. ACCA (Association of Chartered Certified Accountants), UK, is a global body of professional accountants and is recognized as the world’s largest and influential accountants association expanding over 170 countries and training more than 370,000 students all over the world. The portability of the ACCA qualification is what makes it attractive in the global economic climate. Unlike CA or other accounting courses, ACCA qualification is in line with the current demands of employers all over the world. Apparently, as per Times of India, the difficulty level of CA qualification is made evident by the success rate of final exam results of 2014 which has considerably gone down to 3.11 per cent from over 10 pc. 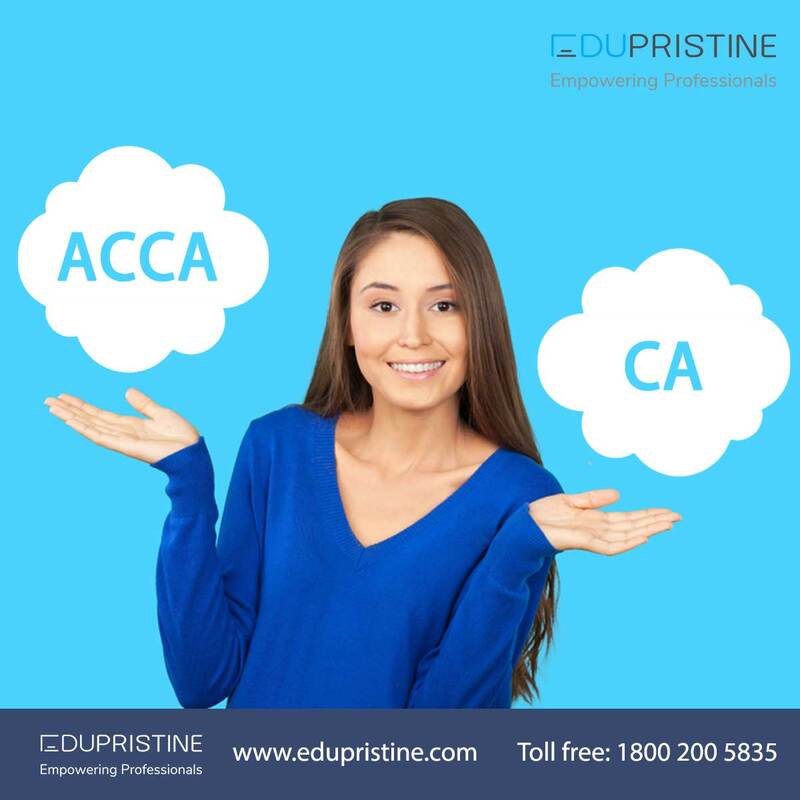 Although ACCA is considered similar to CA qualification in India, ACCA provides additional knowledge of UK GAAP, Laws & IFRS, which directly puts you at advantage if you work for a Multi National Firm or an Indian firm that works for clients abroad. If you are doing an MBA with your ACCA, you stand a chance to attract more job opportunities to select from. One more thing that sets ACCA qualification apart from CA is that you can acquire a degree at the same time as studying towards achieving the qualification. The Oxford Brookes University along with ACCA with their joint initiative has exclusively designed a combination of a professional accounting qualification with a degree, that is, the BSc (Hons) in Applied Accounting. Obtaining this degree will surely put you in demand with employers throughout the world while increasing your career prospects. ACCA qualification enjoys recognition in the most esteemed countries like Australia, Canada, UK and many more. Their government considers this qualification as an eligible qualification for students to apply for jobs. ACCA students also get an option of studying in the comfort of their homes with online courses through accredited tuition providers. Don’t settle for less! Get a chance to pave your way for becoming an international resource rather than settling down within the confines of your national frontiers. Dream big and achieve more, enroll yourself for ACCA qualification, today!